BEAUTIFUL MOVE-IN READY TOWN HOME! Offering 3 BR 2.5 BA and 2088 sqft of open living space this town home is what you've been waiting for. This gorgeous unit has lots of natural light and serene nature views. The kitchen area is HUGE and displays maple wood cabinets granite counter-tops stainless appliances built-in desk and plenty of storage. A large center island and breakfast bar with eating space too! There's also a separate dining area that could be used as a den office or even a play room. Tile in the living and wet areas new carpet in 2 bedrooms and wood floors in the loft and master bedroom. The loft area is great for an office or work station with laundry room nearby. The large Master suite has double door entry nature views a Jacuzzi spa tub walk in closet separate water closet his and her sink areas and glassed-in shower. The two other bedrooms are separate with one having access to the hall bath. The Garage is over-sized and could fit 2 large vehicles plus storage space. It has both a screened-in balcony and open patio. This home comes with hurricane panels and fire sprinklers for reduced insurance costs. 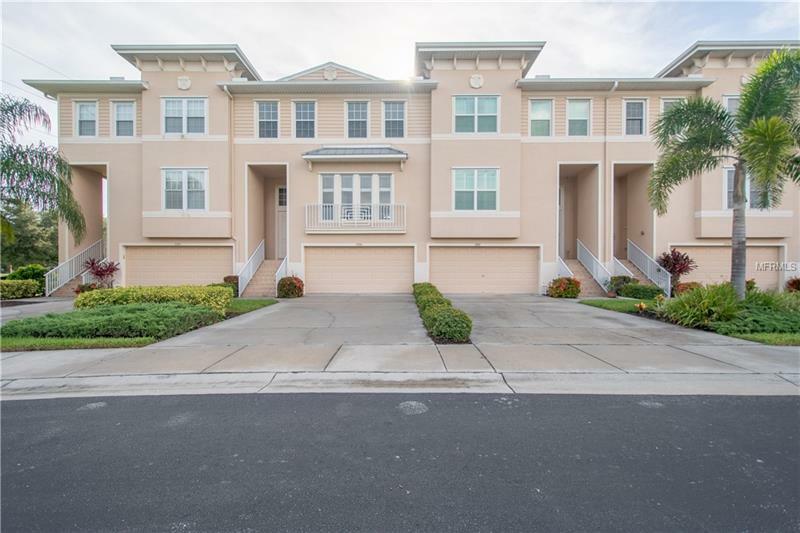 The gated & resort style waterfront community of Seminole Isle offers waterfront living with kayak or canoe storage launch area fishing dock tennis courts fitness center club house heated pool and a walking trail. Lake Seminole park with amenities is across the street. There is a brand new Seminole mall beaches are less than 10 minutes away and TIA is just across the Bay. Amenities Additional Fees: Canoe, kayak, or paddle board storage building costs extra fee. Pet Restrictions: 2 pets maximum per unit. No pet weight limit. Sold Remarks: Buyer compensated with $2500 at closing for A/C unit being near end of life.